That's the best single game I've ever had (going back to the mid 1980s). Three home runs, a double, and a single, all scorched. This is with a AAA team, so EB has been promoted once. However, it's boom or bust for Enormous Bottoms, huge games followed by multi-day strikeout festivals. 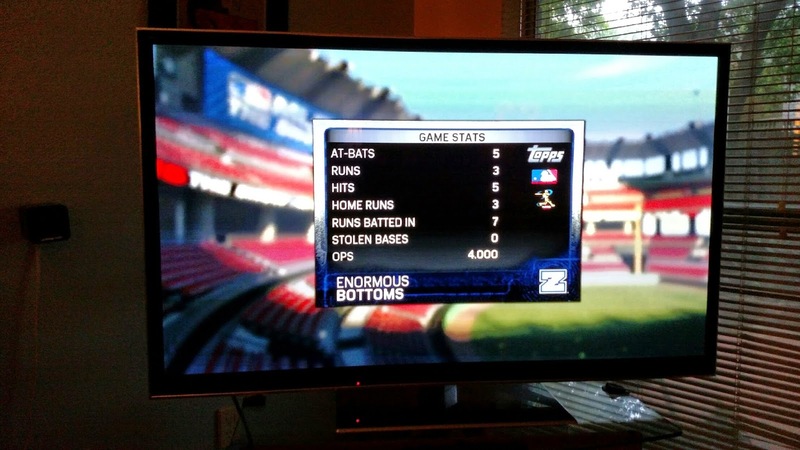 I've gotten his power against left-handed pitchers up into the low 80s, though, and he's leading AAA in Home Runs.